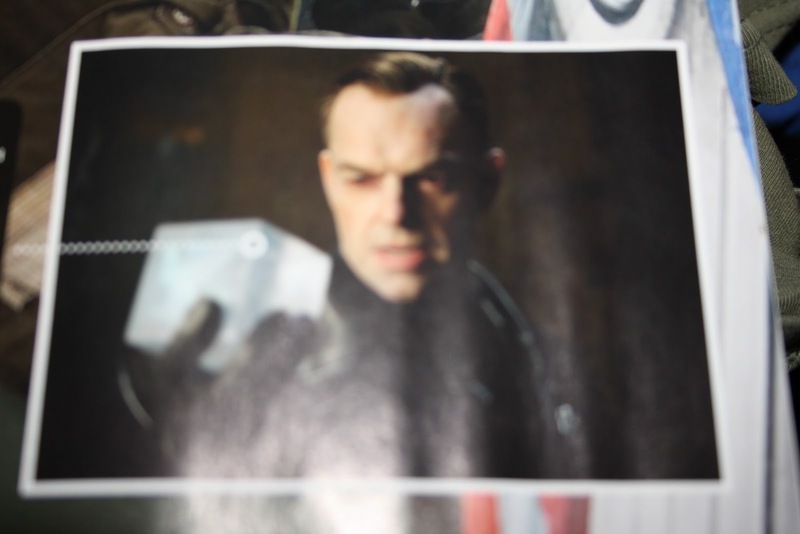 Hugo Weaving as pre-monsterface Red Skull, holding what would seem to be The Cosmic Cube. For those sans-context for that: What you’re looking at is a Nazi holding up a Magic Wishing Rock. Yes, really. It still trips me out that the various “Avengers” lead-ups are actually dipping this far into the stranger side of their universe right out of the gate – typically, stuff like this is the first thing a movie adaptation decides to drop. Awesome. Escape to the Movies: "MovieBob Awards"
Want to help a good cause? Bob shouldn't your headline be Evil Cubed? Further proof that DC needs to just let Bruce Timm handle all of their silver screen adaptions. What if Marvel chooses to hire Bruce Timm? From what very little I know about comic book history, DC has a long history of royalty and intellectual property backstabbing. They'd still need to bring in Paul Dini and Andrea Romano to everything perfect, but i'd still look pretty with out them. The death of something that in all likelihood would never have worked isn't a bad thing. Superhero tv shows are hard to do right outside animation. Even then, about half of them don't workout. Maybe this way we can get a wonder woman movie. I wonder how they're going to work it in? Hmm, didn't the Infinity Gauntlet show up amongst some Thor props? Could Thanos be the Avengers villian? Does anyone else think that Elrond here would've actually made a damn good Namor? Quite honestly, he looks a bit to “proper” to be a Nazi. By the by, there have been newly released pics of Chris Evans in Captain America, and I must admit…. I'm surprised at how much he's bulked up for the role. This new shot makes me feel like this could possibly grow on me….. the actor in the role, I mean. The narrative will have to stand on its own two legs by itself for me to judge it positively, no doubt about that.